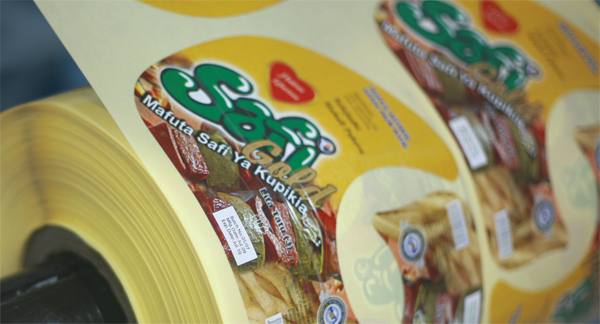 Flexo printing is the latest addition at Jamana Printers where labels of any shape are printed. Our machines can print upto 6 colours and are highly consistant in print output. What this means is that regardless of the production volume, each label is exactly the same. The materials used are plastic film and sticker label. Finishing includes dye cut. We print 200 meters a minute on U.V. flexo.